Imagine having sustainable toilet paper delivered to your door with no excess packaging except the cardboard box it comes in. Now you can – at the click of a mouse! 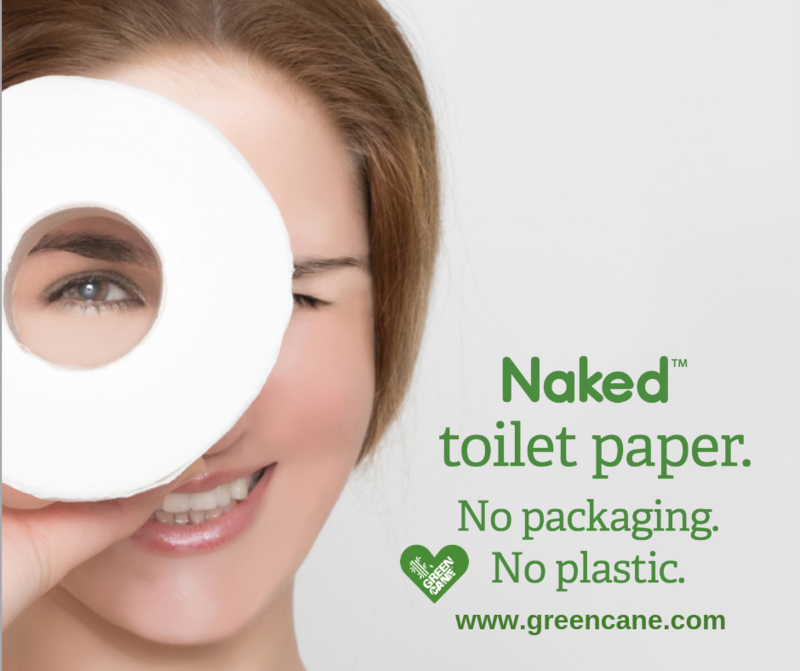 It’s called Naked Toilet Paper, and it’s a new initiative offered by Greencane Paper in response to customer pleas for a zero-packaging option. Greencane has long been committed to providing its toilet paper, kitchen towels, napkins and tissues in 100% plastic-free and biodegradable packaging, but now the innovative paper company has taken that a step further, offering its online customers bulk deliveries of 48 rolls of unpackaged toilet paper. The paper itself contains primarily recycled sugarcane and fast-renewable bamboo. It’s GMO, BPA and chlorine-free, but just as strong and soft as high-quality wood-based toilet paper. Trust us – you won’t know the difference! Geoff and Helen Arden launched Greencane Paper nearly 10 years ago, when Geoff came across a local forest being felled for pulp and began to ask why trees that took up to 30 years to grow were being chopped down to make low-value products like toilet paper. “It’s just wrong when you have a sustainable alternative that takes just one year to grow,” he says.